The long list of hotels operating under the Hilton brand will be growing by one this year: joining the likes of Hilton Garden Inn, Hampton Inn, Homewood Suites, and Home2 Suites is new, budget- and millennial-focused Tru. According to the AP, Tru’s target guests will be younger travelers looking to spend between $75-$90/night. 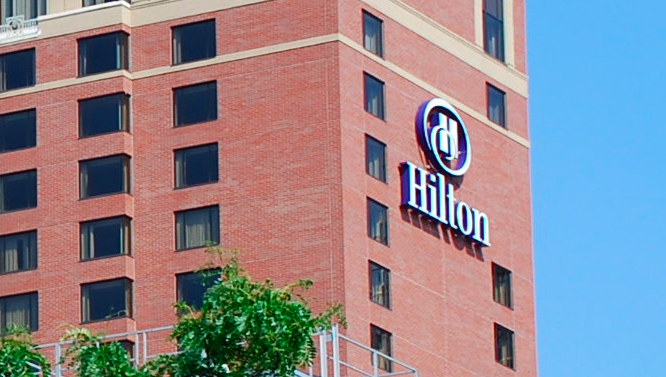 Hilton has already selected 102 locations for the new hotels, with another 30 deals pending. Tru will be Hilton Worldwide’s first offering to compete in the economy and midscale market against brands like Comfort Inn, Fairfield Inn, and La Quinta, CEO Chris Nassetta said. Hilton, which already operates 4,500 locations globally, decided to delve into the budget-focused market after determining that about 40% of demand for hotel rooms comes from that segment of travelers and that few brands cater to those customers. The hotels, which will be new construction or renovated historic buildings, will feature on average 98 modern, sleek rooms. Instead of a closet, the rooms will have an open space with hangers and hooks on the walls, as well as a chair with a spot for a small laptop or tablet, rather than a traditional hotel desk. So far the new hotels will be located in a variety of markets, such as Atlanta, Dallas, Houston, Chicago, Denver, Portland, Oregon, Charlotte, North Carolina, San Antonio, Texas and Nashville, Tennessee.